This is Melanie Nightingale’s last year with En Corps Dance Collective, a company she helped found twenty years ago. One of the last founding members remaining, Nightingale says it has been interesting to see how the company has grown since its inception in 1995. Initially, En Corps was influenced by the style of dance Nightingale and its other founding members were introduced to in Los Angeles during the 1990s. Nightingale adds that while there was a studio in Vancouver they could have gone to, it was important to the dancers that they stay in Calgary. With how Calgary’s dance community has grown in the past twenty years, Nightingale says the company’s original mission is no longer as relevant as it once was. Now, En Corps is more concerned with retaining local talent. It is not uncommon that dancers move to cities like Toronto or New York in order to pursue dance professionally. The reason for leaving is usually attributed to the lack of local opportunities for professional growth. To remedy this, En Corps offers dancers over the age of 18 classes and performance opportunities aimed at helping them grow and evolve as professional dancers. For Nightingale, however, it is not enough that dancers gain solid technical training, but that they also feel a sense of belonging within the company, especially since founding members like herself are not always going to be around. And as the company prepares for its upcoming show The Escape, it is not hard to see what a significant impact the company and its commitment to fostering a friendly, professional environment has had on both new and veteran members. The Escape tells the story of a distraught young girl who uses the power of her magic red ball to escape into a magical world of fantastic creatures. Unable to cope with reality, the young girl becomes dependent on this fantasy world to deal with her problems. Will she find the strength to return to the real world or will she become trapped in this unknown dimension? Brittany Robertson and Jenna Powell started with the company’s drop-in classes five and nine years ago, respectively. Now, Robertson and Powell are not only dancing in The Escape, but they have also helped choreograph pieces for the show. Powell, the artistic director of En Corps, says Nightingale’s departure signals a ‘passing on’ to the next generation who are becoming more active within the company. Odessa Johnston, a second year U of C dance student, says her first year with the company has been a valuable learning experience thanks to the diversity of dance experience she has been exposed to. “This is quite a large range of age which is so great and so wonderful to experience because you get dancers that have been dancing for so long and have these great experiences, then dancers like me who have only been in university dancing for a few years now,” said Johnston. Johnston, who hopes to pursue an MA in Dance, says she would like to continue dancing with the company, maybe even choreograph for them as well. Even though there is always the challenge of fundraising and increasing costs associated with performance spaces and costumes, Nightingale believes that En Corps will be around so long as the company is willing to nurture the love of dance that its members share. Ultimately, Nightingale hopes that the company continues to thrive so that it can continue to keep dance and those who are passionate about it in Calgary. 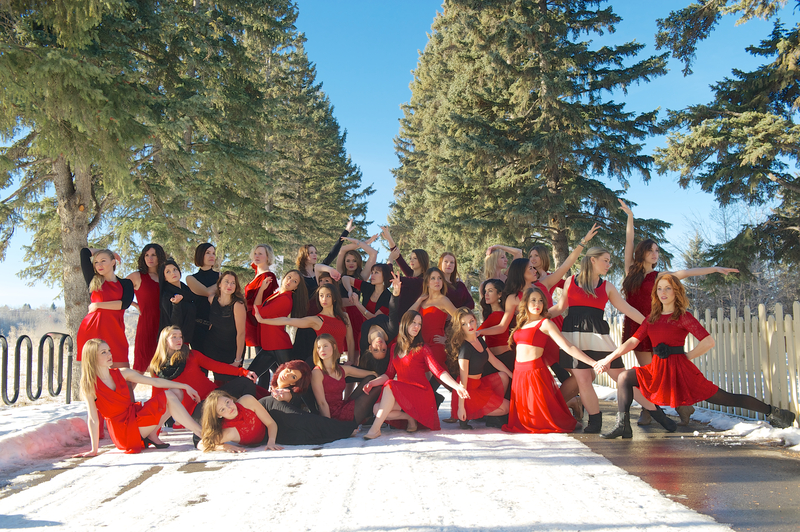 En Corps Dance Collective’s The Escape runs Jan 30 – 31st at the Wright Theatre (Mount Royal University), 8:00pm. This story has been edited to make the following correction: Melanie Nightingale (Malarchuk).